The inclusion of the Symfony icon was a nice example of community work. FontAwesome allows anyone to request and vote for new icon ideas. Thanks to your votes, the request to add the Symfony logo has become the second most upvoted request in FontAwesome's history. Thanks for your continuous Symfony support! @Dennis the "fab" CSS class is correct in this case. 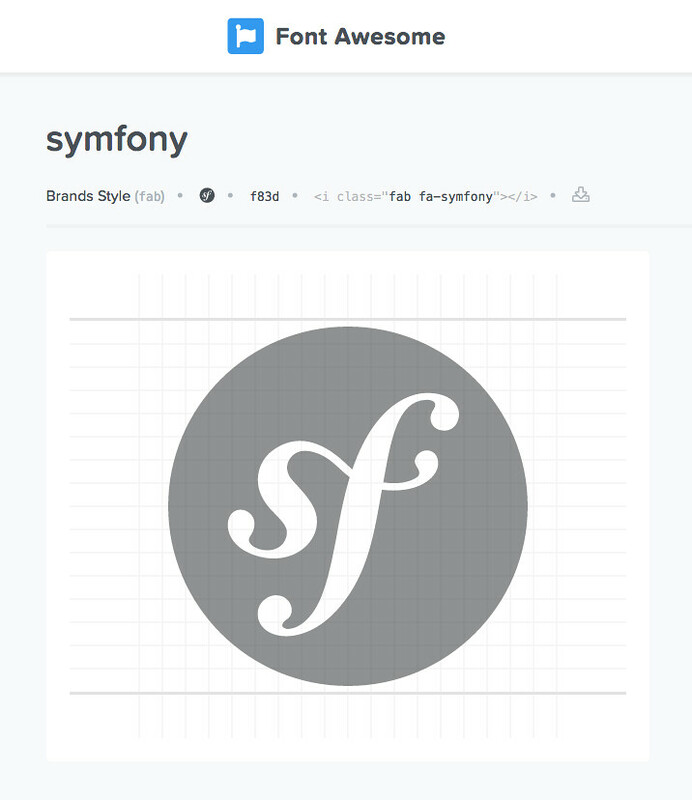 The Symfony icon belongs to the "brands" collection, which uses "fab" (for "Font Awesome Brands") as prefix. Amazing :) can't wait to use this in posts!